This is what a real meal consists of! 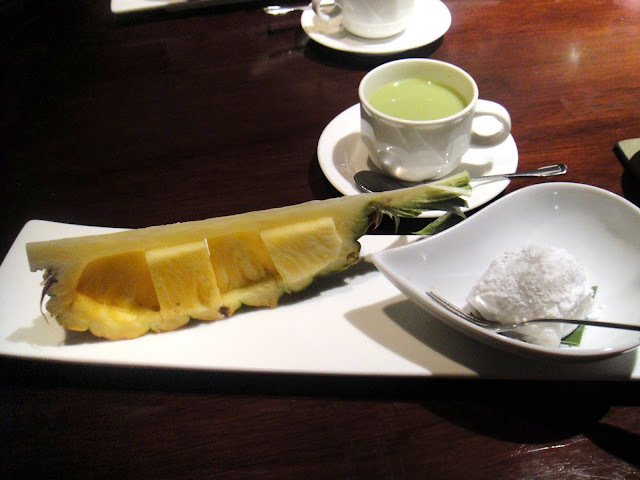 :D In Taiwan, meals usually consist of appetizers, sides, main course and desserts! 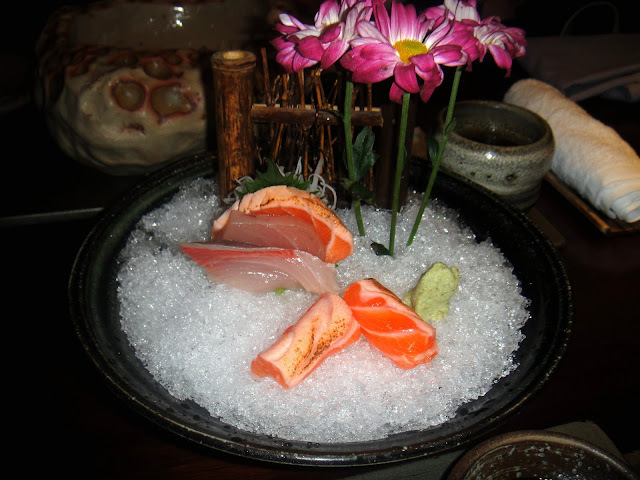 The Japanese restaurant doesn't really have an English name but its called Hachioji Japanese Cuisine. 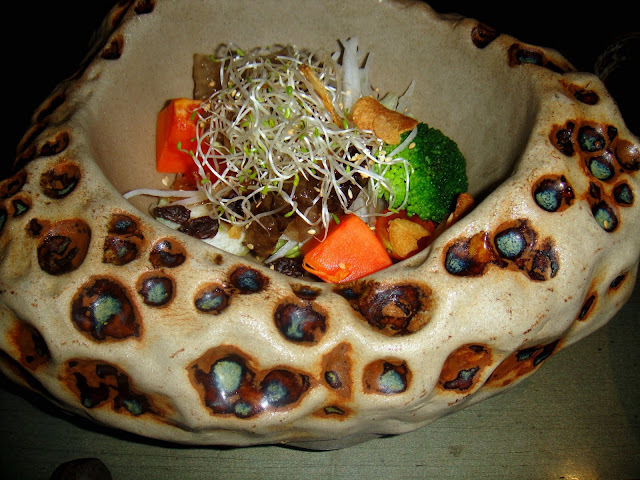 Salad,with fish skin in it, and papaya, and other vegetation that is delicious. 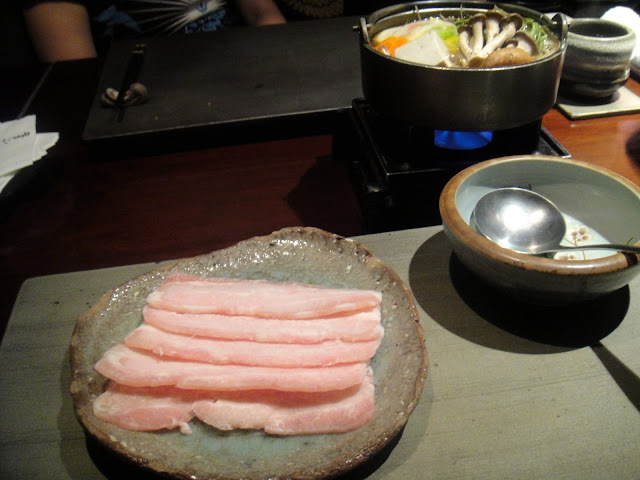 The sashimi, was delicious, it was slightly touched by a small flame so it was a bit cooked but still raw. 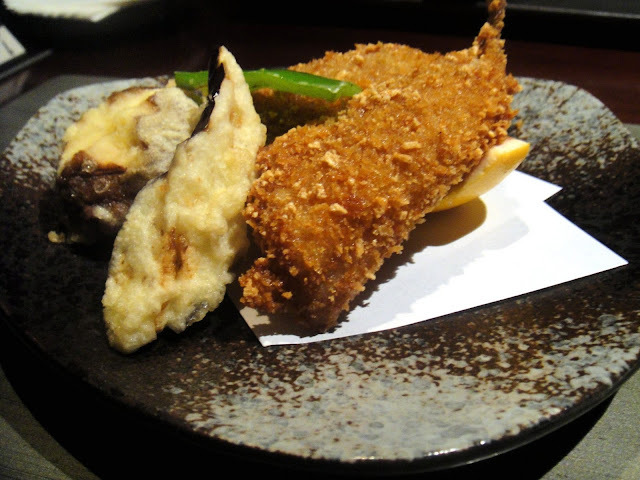 Tempura eggplant, mushroom and fish. 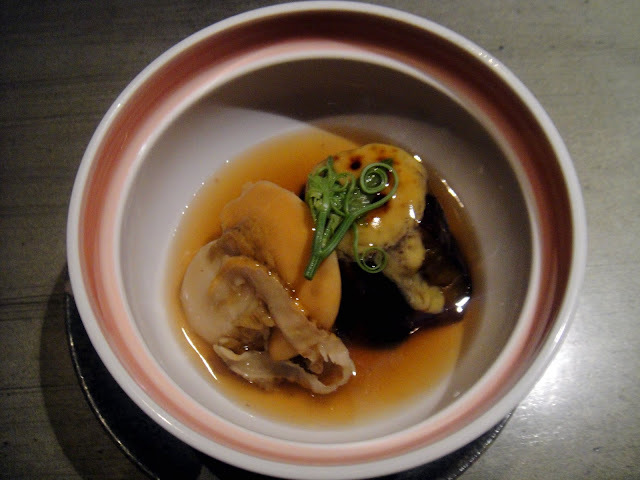 The scallop and mushroom, as well as the Taiwanese eggplant. And a pork hotpot, filled with mushrooms, tofu, and vegetables. There was also a rice and soup that aren't pictured here. Lastly, there were pineapples I love how they cut it, with a mochi filled w/ a red bean and another bean that I forgot the name of. 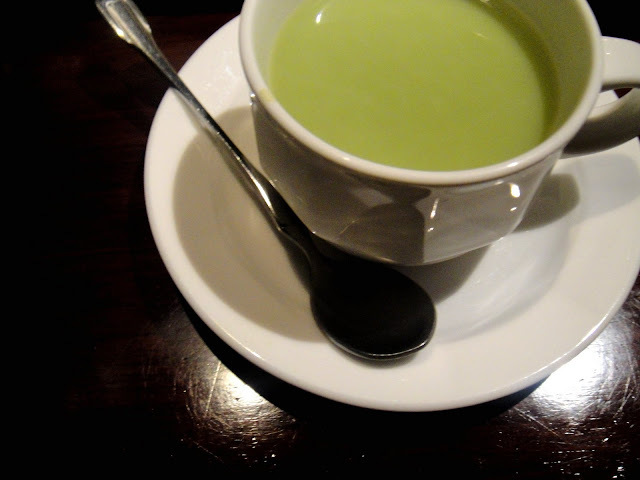 Finished with a cup of matcha green tea. Yum! More pictures of the Young Designers Expo tomorrow! avantgarde: thanks for stopping bye!! Love your blog too! AH: haha good luck w/ the sushi making. I am not good in the kitchen at all either.